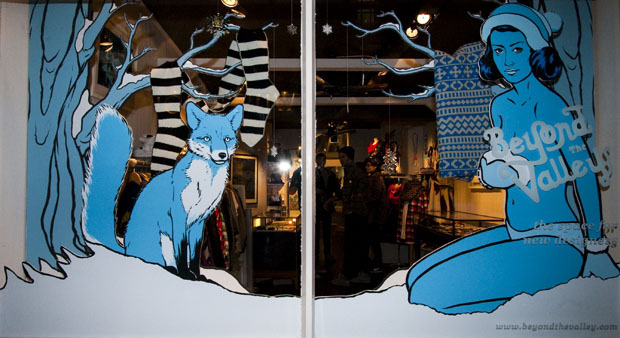 Beyond the Valley had a new window display installed yesterday to usher in the Christmas spirit. 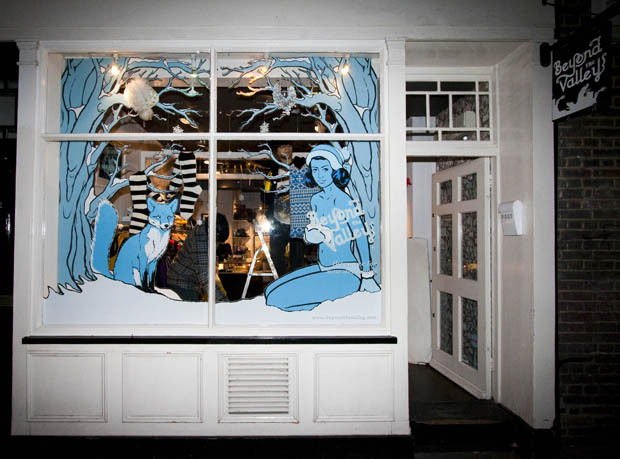 The display was designed by Alex Spiro and installed by both Alex & Sam from Nobrow. Nobrow is an independent publication for art and illustration, featuring art from what Nobrow regard to be “some of the best talent out there”. 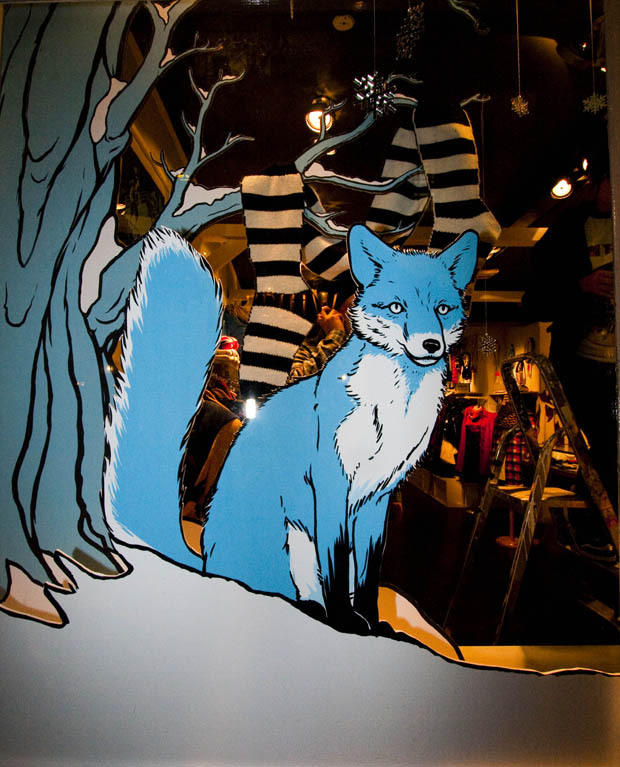 In true Nobrow style, Alex stuck to only one colour for the window display – a nice shade of blue. I can already hear some of you thinking “that’s not very Christmasy!”, but that’s the point. Aren’t you going to see enough vibrant Red stuff pushed in your face this season?! Well not at the window of Beyond the Valley, not this Winter! Pretty simple. Beyond the Valley offer several services, but their most commonly known is their store on Newburgh Street, Carnaby, which is highly recommended. To see a full list of their services please visit their website. The new window display looks rad, and although Blue is a typically cold colour, to me it looks rather warming and inviting. When you are next in the Carnaby area, pop down Newburgh Street and check it out for yourself. And if you are really feeling it, poke your head in the shop and let them know!